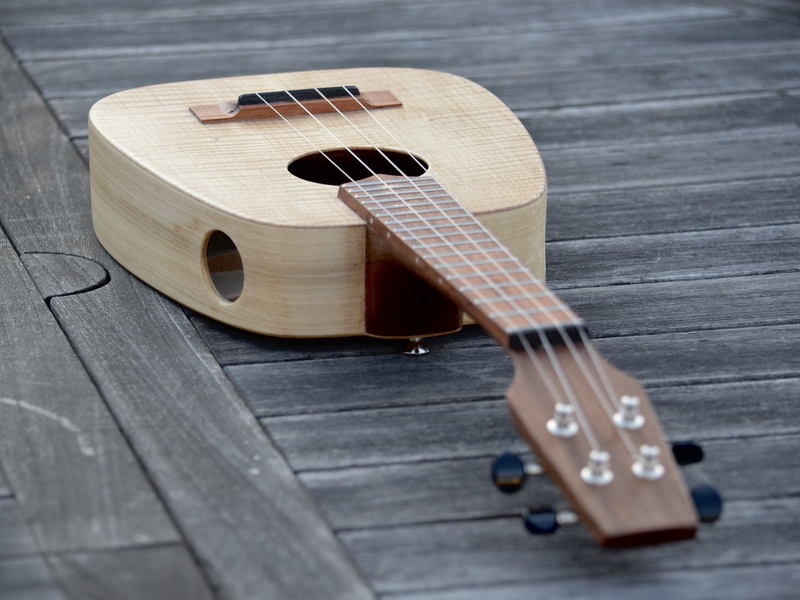 Named for the character of the same name in Robinson Crusoe, ukulele “Friday” is a faithful companion and a remarkably versatile one at that. 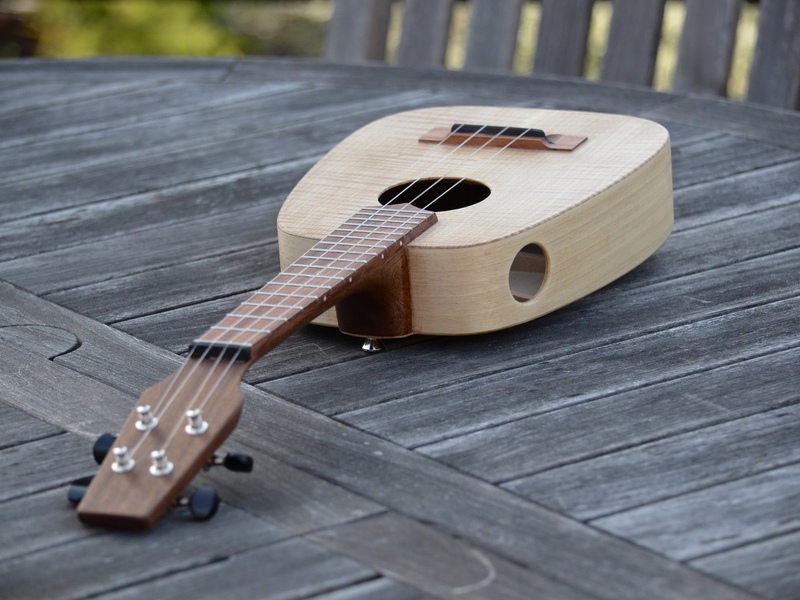 Ukulele Friday is ambidextrous, that is, it can be set up either right- or left-handed. 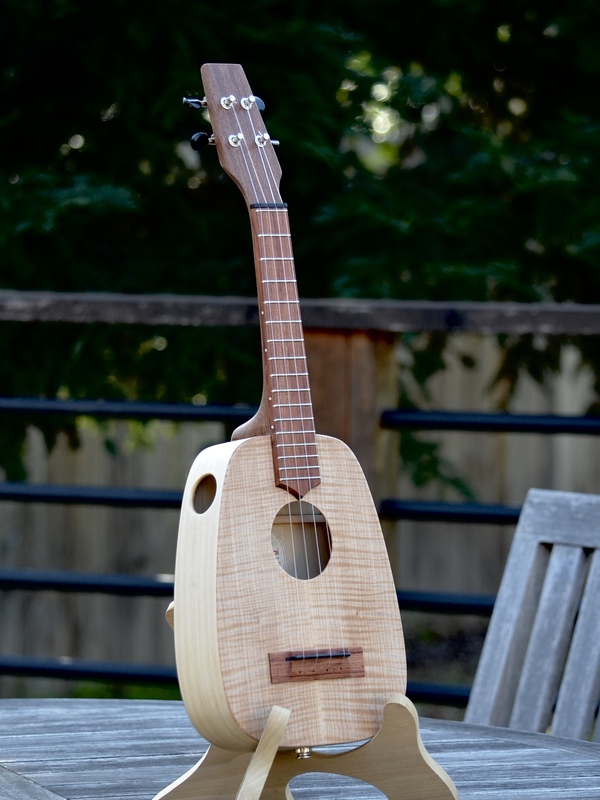 Ukulele Friday is a concert Keystone. She has a cocnert-size body with a 15″ concert-scale neck. This is the smallest keystone we currently make. Her most unusual feature is that she can be strung up either left- or right-handed. She has dual side ports and fret board marking on both sides. Also her nut is slotted so she can be strung either direction. 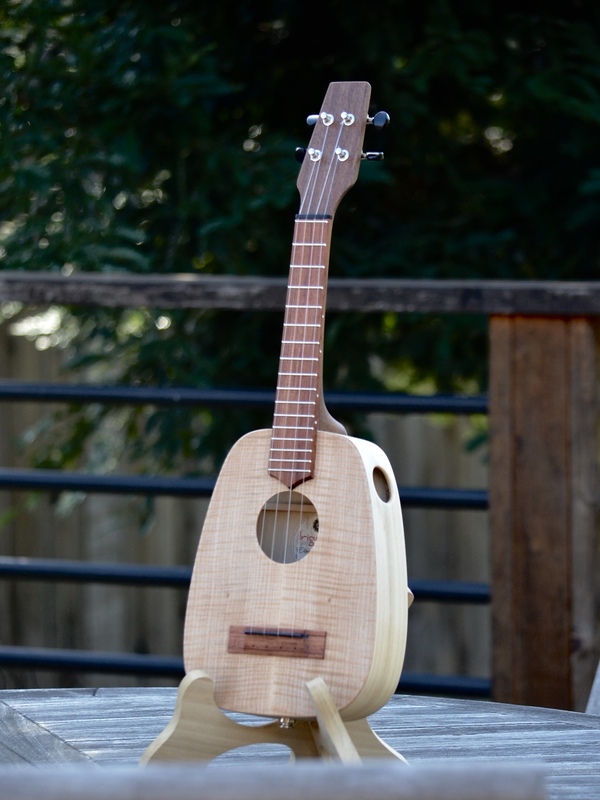 She has a bright curly maple top and comes with a K&K Sound Aloha Twin pickup and is tuned re-entrant GCEA. She also features our new drilled-through bridge.